We where asked from the Institutre of Energy Design (University of applied Arts, Vienna) to make a proposal for a corporate identity for their new formed institute. The representation of our sun system (Sun, Mercury, Venus, Earth, Mars, Jupiter, Saturn, Uranus, Neptune) we took as the main logo. The ci - font is ‘eco’, a free font that uses 20% less ink (www.ecofont.com). A stamp is the main object for the ci, the office papers can be printed out with the logo, if not just put the stamp on it, wherever the logo appears it has this one seize of the stamp, 85mmx55mm, so it can also be used for the business card. The paper used is only A4 copy paper, also the posters are just for example nine A4 prints on the wall. When the institute makes a poster or an announcement, they choose the topics (e.g. 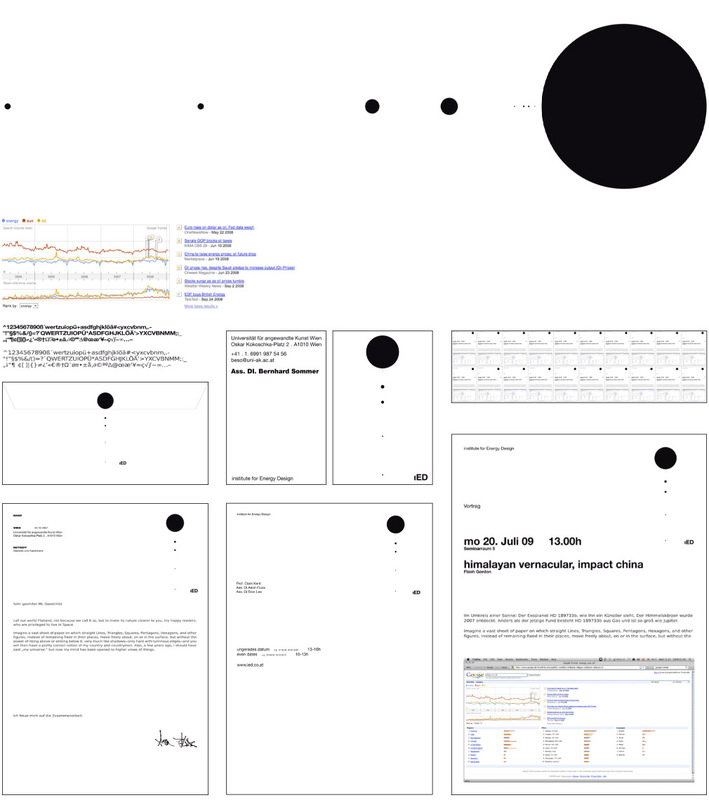 energy, oil and sun) put it into google trends (a statistic tool by google), make a screenshot – and the poster is done. Unluckyly the Institute never gave us the job realizing the design.